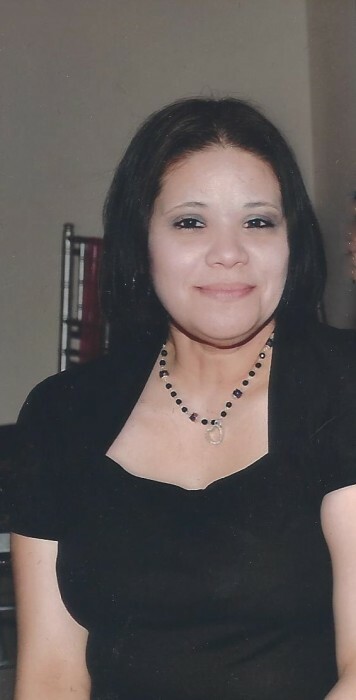 BEEVILLE – Lisa Mae Salinas, 46, of Beeville, died on Nov. 22, 2018. She was born in Beeville, Tx on Feb. 2, 1972. She had worked for T.D.C.J. at the McConnell Unit and also as a dispatcher in the Rio Grande Valley. She is survived by her husband, Bobby D. Salinas of Beeville; mother, Lydia (John) Posada of Beeville; father, Guadalupe (Rosie) Cano of Victoria, Tx; two sons, Bobby Dale Salinas III and Nathan Salinas both of Beeville; one daughter, Amber Lynn Salinas of Edinburg, Tx; four sisters, JoAnn (Mark) Estrada, Lydia (Sal) Beltran and Rosie (Randy) Ramon all of Beeville and Monica (Isaac) De Los Santos of Victoria, Tx; three brothers, Frank (Ruth) Cano of Beeville, Joe Anthony (Mateo Onori) Arteaga of Austin, Tx and Joshua (Maria) Posada of Corpus Christi, Tx. Visitation will be held on Monday, Nov. 26, from 4-9pm at Oak Park Memorial Funeral Chapel. A prayer service will be held that evening at 7pm. Funeral services will be held at 10am on Tuesday, Nov. 27, at Oak Park Memorial Chapel with Pastor Amelia Valdez officiating. Interment will follow at the Glenwood Cemetery. Serving as pallbearers are Mark Estrada, Randy Ramon, Bryan Ybarra, Eric Ybarra, Justin Estrada, Johnathan Estrada, Steven D. Salinas and R. Christopher Ybarra Jr.